In 1995, Congress enacted the Family Support Act, in which they charged Florida, along with all other states in the nation, with monitoring child support orders and payment compliance. However, a recent budget proposal from the White House indicated that this state-level monitoring system could be replaced with one directed by the federal government, specifically the Department of Health and Human Services. According to the budget report, this agency has requested $63 million for the purpose of purchasing a federal information technology system, which would allow it to track child support on a national level. Until this change is officially implemented or rejected, child support payments will continue to be monitored by the state, each of which has its own methods of enforcing orders. To learn more about Florida’s child support monitoring procedures and enforcement methods, please contact an experienced child support enforcement attorney who can assist you. Giving information about late child support payments to credit reporting agencies, which could negatively affect that individual’s overall credit rating. If your ex-spouse was required to pay child support, but has stopped making payments, Florida’s child support enforcement unit may be able to step in and ensure that you receive the amount ordered by the court. Alternatively, if you are a parent who is ordered to pay child support, but you can no longer afford to pay the amount in the order, you should speak with an attorney as soon as possible about seeking a modification of your child support order, as this could prevent the aforementioned actions from being taken. 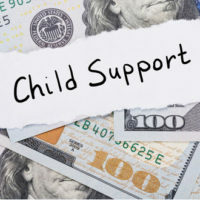 Under the current child support enforcement system, states are permitted to collect reimbursement from the federal government for up to 66 percent of the costs of operating a child support database. It is the hope of representatives that switching funding to a national tracking system would save the federal government millions of dollars over the next decade. However, the budget proposal does not include an estimate as to when the agency would complete the new infrastructure or when states would be given access to it. How the system would be designed and who would maintain it are also unclear. For these reasons, parents should continue paying child support as ordered through their state’s system, at least until further information is received. 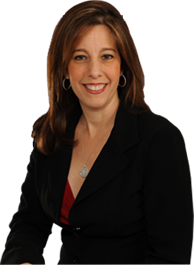 Please contact dedicated and compassionate child support enforcement attorney Sandra Bonfiglio, P.A. at 954-945-7591 if you have support-related questions or concerns. Our Fort Lauderdale legal team can assist you throughout each step of your case.